...by the time the Scarlet Bolex might become available, we might also have the above camera. Micro 4/3 format, interchangeable lenses and autofocus (probably), HD video and 12 megapixel stills (most likely), all for somewhere in the neighborhood of $1,000 (pure conjecture, although the G1 is currently only $800 with a lens). You'll have to weigh 3K raw vs. whatever compressed video format Panasonic chooses for the Lumix G (we usin' code names) of course. And there's always the chance that Panasonic will do something stupid to limit the G's professional use, like skipping 24p or hampering manual control. But more than any other camera company, Panasonic has shown the ability to overcome engineering inertia and do the important next thing. We have them to thank for consumer 24p—which we take for granted now, but was a monumental event that Canon and Sony were slow and reluctant to follow. I for one can't wait to see the subway shorts. 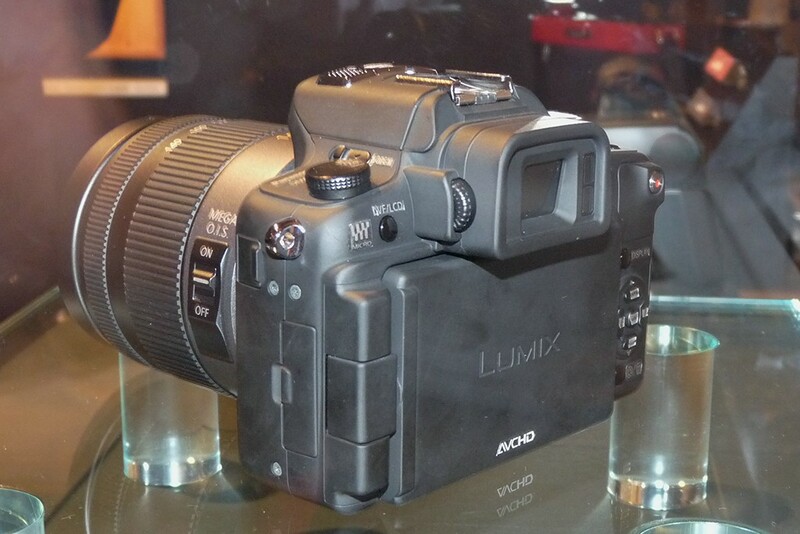 UPDATE: Looks like the prototype LUMIX G has an AVHD badge on the back (thanks to dcloud for the link in the comments). That's good news, it's a post-friendly codec supported by many NLEs.